Is former State Senator George Maziarz out of the woods nearly two years after he left office under the cloud of a federal investigation? While Maziarz left office denying he was being chased out, it appears the investigation into Maziarz’s campaign account is now in the hands of the State Attorney General’s office, and the probe is heating up. When Maziarz announced in July, 2014 that he would not seek re-election in the 62nd District after 19 years, he said it had nothing to do with reports that federal investigators had expanded their probe into his campaign account. It was reported back then that U. S. Attorney Preet Bharara of the Southern District, who has won convictions against top Albany political figures like former Assembly Speaker Sheldon Silver and former State Sen. Majority Leader Dean Skelos, was examining dozens of payments made to the family of Maziarz’s campaign treasurer as well as tens of thousands of dollars in unitemized checks that were made out to cash and never reported to the Board of Elections, fruits of the disbanded Moreland Commission that had been established to investigate political corruption. But so far, no charges have been placed against Maziarz or any of his advisers or campaign aides, and King George appears to be thriving, joining the high-powered Albany lobbying firm of Patricia Lynch Associates last June, where he serves as president of the firm’s Western New York division, and still boasting a campaign fund of close to $800,000 even after paying thousands to his lawyers. 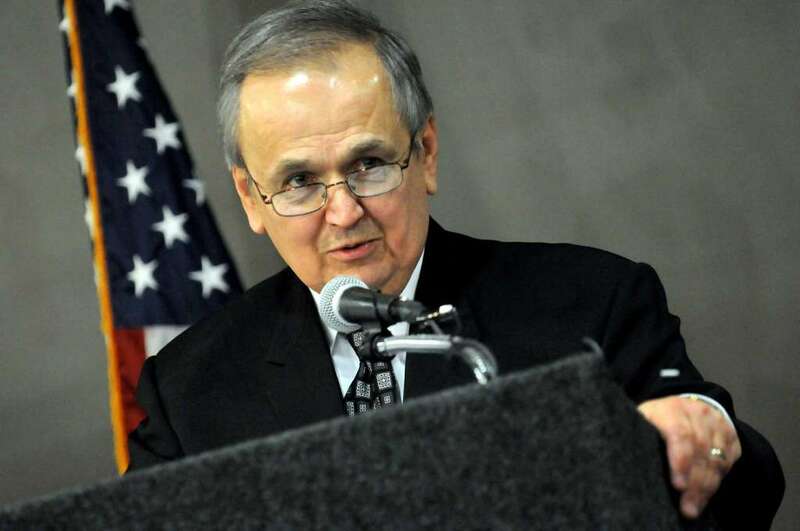 Former State Senator George Maziarz has consistently denied wrongdoing. After one investigation, the US Attorney did not charge him. Now sources say the State Attorney General is looking at his campaign funding. While sources tell this newspaper that federal investigators may have made a decision not to pursue Maziarz, we have learned that the State Attorney General’s office is now turning its attention to the former lawmaker and has him squarely in their sights. According to our sources, the Public Integrity Unit of State Atty. Gen. Eric Schneiderman’s office is now focusing its attention on Maziarz after completing its work on the Steve Pigeon case which resulted in a nine-count state indictment against the former Erie County Democratic chairman on bribery and extortion charges. Pigeon and former State Supreme Court Justice John Michalek were both charged, leading to Michalek’s resignation from the bench. Pigeon has denied guilt in that case and plans to fight it all the way. As for Maziarz, sources tell us that the Public Integrity Unit is looking at funds from the Maziarz campaign account going to undisclosed recipients through third parties, possibly to keep the real recipients of that money from being identified in campaign filings. In other words, a source tells this newspaper, investigators appear to be looking at whether Maziarz was able to steer many thousands of dollars from his campaign to undisclosed recipients through a third party. It could possibly lead to charges of false filings, according to legal sources. As for Maziarz, he has hardly missed a beat since leaving office, working briefly as a grant consultant with Niagara Falls Memorial Medical Center ($2,000 to $3,000 a month) and also gaining appointment to the relatively obscure state Economic Development Power Allocation Board, an unpaid position. He is also seen as still wielding considerable political power in Niagara County from his long years of delivering patronage. Maziarz and his lawyers have strongly denied any wrongdoing in the handling of campaign funds during his time in the State Senate and neither he nor any members of his staff have been charged with any crimes. But sources say the Attorney General’s office is now focusing on Maziarz even as he works as a high-paid lobbyist for the Lynch lobbying firm. The latest reports could be nothing more than Schneiderman’s office looking to grab attention in the corruption-probe spotlight that so far has been dominated by U. S. Attorney Bharara. But only time will tell if this is just more saber-rattling by state prosecutors in the wake of charging Pigeon or something more, and whether it could mean King George–once a political ally of Steve Pigeon– will eventually be charged for actions involving his huge political campaign account.